Running a business is hard. We know-as an independent truck shop, we do it ourselves. Whether you're a one-man operation or you own an entire fleet of Western Star trucks, maintaining your truck(s) shouldn't add to your load. If you operate near San Antonio, let us take care of maintenance and repairs for you. Our technicians receive continual Western Star truck repair and engine service training, ensuring they are up-to-date on the latest technology and best repair practices. We also make it a priority to keep you informed through every step of the repairs process, until you are back on the road in your Western Star truck. 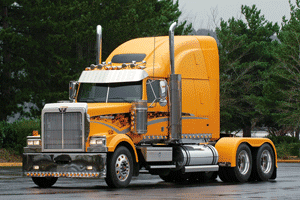 Bring Your Western Star truck to Tri-County Diesel Service for Quality Repairs! If you operate a Western Star truck in the San Antonio area, contact Tri-County Diesel Service and learn more about our truck and fleet services. Call or make an appointment request today! Serving San Antonio, TX and surrounding areas, including Schertz, Selma, and New Braunfels.